Pick up your boat in Dollard Des Ormeaux (Montreal), Quebec. The NEW HUNTER GREEN 285fpb now has genuine Scotty® mounts for rod holders and a new pedestal swivel seat system for easy 360 degree fishing. Another added feature is the convenient release-a-seat mount for easy setup and take down. 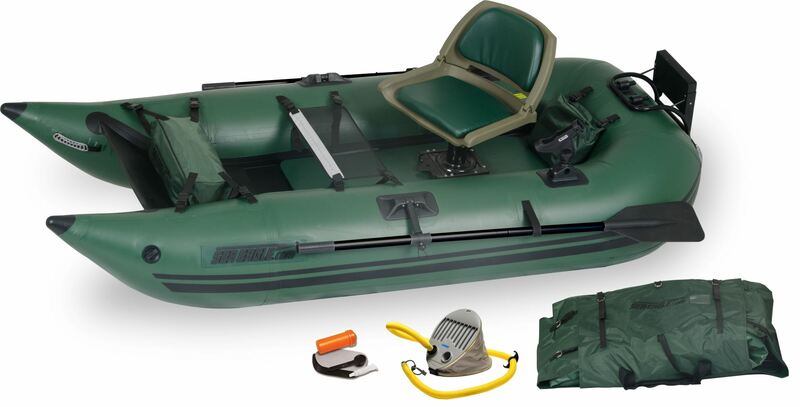 This ultra-portable boat weighs just 42 lbs (excludes all accessories)., packs in a small bag and can be rowed forward or backwards. Inflation & Assembly time: 5 mins.